Marble pool plaster lasts longer then fiberglass, as time goes by fiberglass will crack. When you decide to redo your pool, then marble pool plaster is your solution. Marble pool plaster is made to be under water, it is not slippery and lasts longer than fibreglass. Click here to view marbelite color chart. Marbelite South Africa is a leading marbelite applicator in South Africa. Whether you have physical limitations, want to lose weight, or need to nurse an injury or protect stiff joints and fragile bones you’ll receive all the benefits of cardiovascular exercise as you strengthen your muscle while swimming. You would need a trained professional to apply marbelite to a pool, not just anyone will be able to do it. Crystal Clear Pools has been applying marbelite to numerous pools in the northern suburbs and surrounding areas in Johannesburg. Marble pool plaster has been used as a pool surface for 40 years and Crystal Clear Pools has been applying it with great success to numerous pools in the northern suburbs and surrounding areas in Johannesburg. 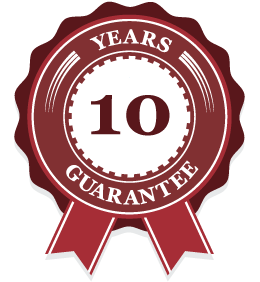 We offer a 10 year written guarantee on our marbelite jobs. There are many generic products of marbelite on the market so be WARNED. To apply marbelite to the pool shell is an art, not just anyone can apply marbelite as you have to be a trained professional. If the marbelite is over smoothed it can cause the marbelite to go black this is called burning the marbelite. If applied correctly you get an excellent finished product. We are the leading marbelite applicators in South Africa, take a look at our Galley. There is no surprise that Cemcrete’s Poolcrete is one of the leading products in the swimming pool industry and have been in business for over 40 years. Cemcrete’s PoolCrete is the best product on the market, due to its superbly smooth and attractive finish, its tremendous durability, and its extensive colour range. Cemcrete’s PoolCrete is a scientifically formulated mixture of white cement, white marble and special additives that permanently eliminates the need for painting. It is supplied in dry powder form for mixing on-site with clean water.